Instead of performing exhaustive testing that tests all possible combinations of input parameter values of a system, it is better to switch to a more efficient and effective testing technique i.e., pair wise testing. In pair wise testing, test cases are designed to cover all possible combinations of each pair of input parameter values. It has been shown that the problem of finding the minimum set of test cases for pair-wise testing is an NP complete problem. 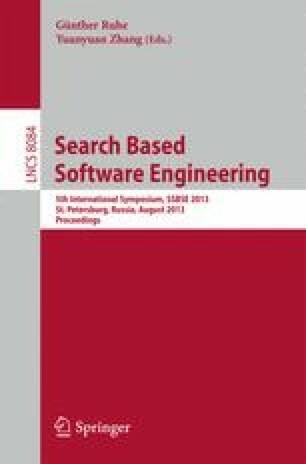 In this paper we apply genetic algorithm, a meta heuristic search algorithm, to find an optimal solution to the pair-wise test set generation problem. We present a method to generate initial population using hamming distance and an algorithm to find crossover points for combining individuals selected for reproduction. We describe the implementation of the proposed approach by extending an open source tool PWiseGen and evaluate the effectiveness of the proposed approach. Empirical results indicate that our approach can generate test sets with higher fitness level by covering more pairs of input parameter values.